Alright, so if you've visited the blog this past week, you may have noticed that the majority of the recent images are now coming up as "Flickr: This image could not be found". This is because I had to remove about 500 images from my Flickr account after they recently made changes that limit 1000 images for free accounts. Since I keep multiple blogs going, the easiest work around for the number of images I needed to take down was to remove the clock blog images (449) and images from a recipe blog that I rarely use/post to (46). The affected posts are from between Jan 11th 2017 to present. I will be fixing them a few at a time in my spare time. I'm going back to Google Photos for now. It seems every few years, it gets more and more difficult to keep blogging. Flickr just announced that "Free accounts will soon be limited to 1000 photos". I'm already at 1,457, and I've barely been using them for a few years (2016). I thought I had finally found a permanent photo sharing solution, the company just recently changed hands, and now this. What am I supposed to do? Start looking AGAIN for another free service? I've already gone through Photobucket, which no longer allows third-party hosting, Google Photos, then Picasa, and then Flickr. It's annoying because now all my photos are linked in different places, and it's just a huge hassle. My blog is entirely free with no ads. I make absolutely ZERO money keeping this running. 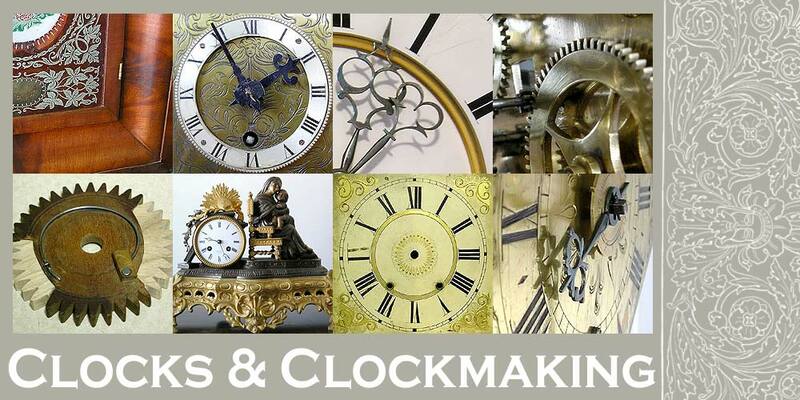 I only blog because I enjoy it, and because I want to share my knowledge on clock repair and post my projects. *Free members with more than 1,000 photos or videos uploaded to Flickr will no longer be able to upload new content after Tuesday, January 8, 2019 unless they upgrade to Pro. After February 5, 2019, free accounts that contain over 1,000 photos or videos will have content deleted -- starting from oldest to newest date uploaded -- to meet the new limit. Members may always choose to download content over the limit at any time prior to these dates. Yes you read that correctly. CONTENT WILL BE DELETED unless you PAY. This will mean downloading, re-saving, and re-linking 458 photos, as well as re-editing all their associated posts, which will be a MASSIVE amount of work. Also FYI: Pro is 50$ USD/year, or 5.99$ USD per month. This adds up to around 68$ CAD per year plus or minus any conversion fees that might get tacked on. It's auto-renewing and non-refundable. If anyone has suggestions I'm open to hearing them. I was almost tempted to buy only the gingerbread clock, but the price was so cheap I decided it may well be worth it to get the mantle clock for parts. Since the seller was just on the outskirts of town (and I have no car), I asked him if he'd be willing to drop them off, and I sweetened the deal by offering 40$. He counter-offered 45$ but I felt this seemed a bit greedy as I had already doubled his asking price, so I didn't reply. A week later he responded and said he'd take the 40$ and he could deliver them. When he dropped them off, he mentioned that they had recently come out of either a barn or an attic recently. The first one he pulled out was the mantle clock, and as soon as he handed it over to me, and I saw that it was solid 1/4 sawn oak, I knew it was not "junk" or "for parts". After he left, I took a closer look at both clocks. The plain mantle clock had an ill-fitting modern dial stuck to the original dial plate (hiding the winding holes), but the clock had its original CHROME PLATED movement, and a telltale gong block, and the original pendulum bob. My suspicions were confirmed when I turned the clock over and saw the original label. The clock is an Arthur Pequegnat! Pequegnat clocks are highly prized and collectible (especially up here) as he was one of the only few Canadian clockmakers to exist here in Canada. We certainly had lots of clocks here, but they were all largely Connecticut made USA clocks with overpasted labels. There were primarily only two major clock companies that were Canadian. One being Pequegnat, and the other being the Hamilton Clock Co. As a result, these clocks are much more scarce, and collectible. In all my years collecting (since 2004) this is the first one that I happen to come across (other than online). It is not a very early Pequegnat clock, however (which would be more desirable). It bears the name "Kitchener Ontario", which was formerly known as Berlin Ontario. The city changed its name shortly after the war, as Germany was not popular at that time for obvious reasons. I thought that the chrome-plated key might be original, because it matches the chrome plated movement, but it's not a good fit. The gingerbread is a New Haven, and it also has a complete and intact label which identifies it as the DUXBURY model. However, even with the model name, it doesn't appear to be in any of the catalogues from the company. The fact that it uses a multicoloured glass (mainly gold, but with added sections in black and blue) would make me think that it's before 1900, since this detail was largely on earlier clocks, and phased out in later ones to save time, materials, and money. Someone had added a nail with a plastic tube into the base as a pendulum fastener (I ended up removing this -not because it doesn't work, but because it's just plain ugly). The original hands are with both clocks. Seems like this movement had the option for an alarm, but one was never fitted. The gingerbread needs to have the crest reglued to the body, and a new triangular glue block on top behind the crest. The latch tip is also broken, and the movement needs cleaning. The main issue with it is the dial. This is the original painted dial, but 90% is flaked off. A paper dial is not a good option, as this dial is recessed and curved (it's not flat). I will likely custom-make a printed dial for this to match the original style. Sperry & Shaw 8 Day Ogee (with Forestville label): Case restored, movement cleaned and running, new dial fabricated and fitted. Left to do: cut new minute hand and paint tablet. Wadsworth Loundsbury & Turners Pillar & Scroll: Case recently completed. Still needs the movement cleaned, and a proper dial and hands. C & L C Ives Triple Decker Clock: Case restored, movement cleaned, and ready (need weights). E W Adams Carved Wooden Works Shelf Clock: Case restored, and a dial was found for the clock. Needs correct movement, weights, bob, and antique mirror for door. 2 Door New Haven/Jerome Ogee: Case restored. Needs a bunch of parts. The others I haven't worked on yet. Since then, however, I've bought that highly unusual C & N Jerome clock (https://jcclocks.blogspot.com/2018/03/highly-unusual-c-n-jerome-wooden-works.html), finished the case restoration on the Williams, Orton & Preston's (https://jcclocks.blogspot.com/2017/11/new-purchase-williams-orton-prestons.html), finished restoring the case on the Elbridge G Atkins (https://jcclocks.blogspot.com/2014/12/a-rare-find.html); which I found a movement for, and still needs a dial, and I also purchased a replica Pillar and Scroll case for dirt cheap, as well as a pair of early 30 hour English birdcage longcase movements (which I started restoring). Today I worked on the Seth Thomas column clock (https://jcclocks.blogspot.com/2018/01/happy-new-year.html), which I took apart and stripped. The case is beautiful mahogany and rosewood under all that horrible gunk. I've also repaired a cuckoo clock for a friend of mine. It had a broken crest, and the movement needs a few small tweaks (I need to order some weights for it as well). I need to figure out a better setup to take photographs of my clocks/repairs. Right now it's hard to find a good place w/o a lot of glare or adequate space. As soon as I can take some decent "after" photos I can start to compile, edit, group, arrange, and upload the photos to assemble them into posts. French comtoise (sometimes called Morbier) clock pendulums tend to be large, bulky, and quite fragile. The bobs tend to be made from very thin hammered or pressed brass, and it's very common to see these all buckled or caved-in. They CAN be repaired (as shown below), but the procedures involve uncrimping the edges, and this can only be done once, maybe twice at the most, as the brass will then be too fragile to bend again. This pendulum was in fairly decent shape, except for some rust, bad rivets, and the buckles in the bob. Rust, masking tape, and some buckling to the back as well. The procedure is simple, but the execution takes patience and a delicate touch. To start, everything (as much as possible) needs to come apart. With this pendulum, the pins/rivets had to be removed. These can be knocked out (on this particular pendulum). The bottom "T" shaped assembly would not come apart easily, and I didn't find the need to take the top portion apart (pins/rivets were still good). I have more detailed "in between" photos of the next pendulum, but to recap, the bob was carefully uncrimped (as little as possible), the dents removed with light blows on the interior surface, with the front paid over some leather. The pendulum rods and fittings were cleaned up with fine wire wool, and the bob was polished. The back was cleaned of the tape residue, and it was repainted in black. Since I haven't fitted this to a clock yet (it did not work out for the clock I wanted to pair it with) I have left the current extension with the bad screws. Once it's fitted to a clock the top piece will be the correct length, and it will be riveted in place with brass rivets. This second pendulum is a fancier Lyre version with a large 11" bob. The pendulum was a very lucky find for 25$ in a nearby city, and I had a friend pick it up for me. IT was in fairly good shape aside from the bob, which was badly dented and scarred. This particular pendulum was weighted with clipped pieces of lead flashing (which was kept). This bob required a lot of work to take the dents out. Some were hammered from the front, with most from the back. All the scratches are from pushing and dragging the face of the hammer across the surface. I would say that about 95% of the bumps were removed. The same process described in the link at the beginning was followed. Light hammering against a hard surface, with a piece of leather in between, and using a smooth faced hammer. For the face-hammering, this was done very carefully on top of a domed/curved surface (I used an old steel wok). I did not want to brightly polish this bob, so I only went over it a little bit with very fine 0000 wire wool. I recently purchased an extremely rare and unusual clock made by C. & N. Jerome. If you're an avid reader of mine you will know 2 things: No 1:I avoid using "rare" to describe clocks as much as possible, since many were mass produced, and the term tends to be over used. No 2: I tend to stumble upon rare/unique oddball clocks fairly frequently. I was immediately intrigued by this clock based on the case/construction details, which don't match anything I've seen to date. In addition to the unusual case design, the clock also features several other bizarre quirks, which I'll describe. First, the case has short columns with tall plinth blocks. This (all on its own) is by far the most unusual feature on the entire clock, and I have found only ONE OTHER wooden works clock with similar tall plinth blocks. The case also uses a 3-part (3 glass/3 division) door. This is not super unusual, but it is much less frequently found on typical wooden works clock cases. Jerome in particular (through various partnerships and eras) was especially fond of this case feature, and I have several examples of clocks with 3 part doors between the 1830s, all the way to ogee clocks in the 1880s (made by New Haven by this date). The lock will need a replacement key. The next unusual feature is the use of a partially-painted zinc dial. Most similar early clocks with partially painted dials (with unpainted exposed zinc) tend to be of the ogee type (roughly 9 inches square). This particular dial is 11.5" square, and the paint work and patina both suggest at LEAST 1840s manufacture, HOWEVER, I'm unable to tell with 100% certainty if this dial is original to this clock due to the presence of extra holes in the dial support rails. If the dial is a later swap, it's fairly clear that it has been in this clock case for a very long time, as the shadow lines from the door frame all line up perfectly with the dial. Another feature that is unusual is the presence/use of brass hands. These appear to be period hands (stamped/factory made), but it is difficult to be 100% sure, as brass ages and tarnishes fairly easily. I know from research that brass hands WERE made in the period (in the 1830s) but they tend to be found largely on "special" clocks, or paired with clock dials that have a lot of black decoration (often with gold numerals on a black background rather than black ones over gold). Out of those options, (and assuming the movement is original) the Jerome and Darrow connection is the only one that makes sense. The dial surround is actually a lovely (yet faded) teal blue. The top left pulley hole has been chewed-up by a mouse (which doesn't bother me). The upper right chimney, and left side return piece are somewhat poor replacements made from birch (not veneered). These will be rebuilt. Slightly less common circular Terry door lock in brass. Centre panel appears to be original paint, and in plain black (which is VERY unusual). Upper and lower glass appears to have been replaced, and the putty in both is newer. Very nice/clear stenciling on the case/splat (top splat will be repaired and it should have 3 bumps). Evidence on the two plinths of LATER applied gold paint (sloppily applied). Surprisingly little veneer damage and/or repairs (just some losses on lower front board). Dates to approximately 1834-1839, depending which source you look at. Label is near mint. P. Canfield Printer, Hartford. The clock uses a less common early spiral gong, rather than a cast iron bell. The gong wire is also fairly heavy gauge (compare it to the hammer stem wire in the photos). The height of the main body of the clock is 25.75" to the top board (not counting the splat elements). Same height as a standard ogee, and the same height as the Elbridge Atkins (both are shorter than a standard wooden works case). Note shadow lines around the dial edges. I would love to know about any other examples you may know about. I have done a LOT of digging, but have only turned up ONE other clock (as mentioned) with tall plinth blocks similar to this one. That one is shown below, and it's a Jerome & Darrow in a slightly fancier case, with similar design features. Here is the only similar clock I found, which is by Jeromes & Darrow (the partnership just before C. & N. Jerome).